Sri Lankan President Maithripala Sirisena’s recent visit to India was aimed at mending bilateral relations that had deteriorated under his predecessor, Mahinda Rajapaksa, on account of the latter’s close embrace of China. During Sirisena’s visit, India and Sri Lanka signed four agreements that are expected to strengthen bilateral co-operation. However, whether these can counter effectively China’s enormous presence in the island seems doubtful. India is still a long way from matching or reducing China’s role in Sri Lanka. Of the four agreements, the most significant is that on civilian nuclear co-operation, which envisages an “exchange of knowledge and expertise, sharing of resources, capacity building and training of personnel in peaceful uses of nuclear energy.” Other agreements deal with co-operation in the fields of culture and agriculture, and will enable Sri Lanka to participate in the Nalanda University project. The two sides also agreed to expand defense and security co-operation. However, such perceptions are excessively optimistic. The Sino-Sri Lanka relationship has always been cordial. Sri Lanka was among the first countries to recognize the People’s Republic of China. In the 1950s, the two signed a landmark rubber-rice agreement that provided Sri Lanka with a large market for its rubber in China, even as Beijing supplied it with low-priced rice. But it was after Rajapaksa became president in 2005 that the bilateral relationship touched new heights. During the Sri Lankan civil war, China strongly supported Rajapaksa’s military strategy against the Liberation Tigers of Tamil Eelam. Unlike India, which was selective and conditional in the support it extended Rajapaksa, China offered wholehearted support, supplying Colombo with all the hardware on its military wish-list. In the postwar period, Beijing was unwavering in its defense of the Rajapaksa government at various international human rights forums. As significant as its support for the Sri Lankan government during the civil war is China’s rapid emergence as Sri Lanka’s top investor. Beijing was generous in extending loans, albeit at a high rate of interest, for infrastructure development in the war-torn country. Infrastructure projects in which China has invested include the $361 million Phase-I of the Hambantota deep-sea port, the $1.4 billion port city on reclaimed land off Colombo, a $500 million-China-owned container terminal at Colombo port, a $455 million coal power plant, highways and expressways, and a theater. While China’s growing economic influence in Sri Lanka irked Delhi, it was Rajapaksa’s enthusiastic endorsement of China’s Maritime Silk Route project, a vital strategic initiative for China in the Indian Ocean, and China’s growing military presence in Sri Lanka – a Chinese warship and submarine docked at Colombo port last year, in spite of Indian reservations – that set alarm bells ringing in Delhi. 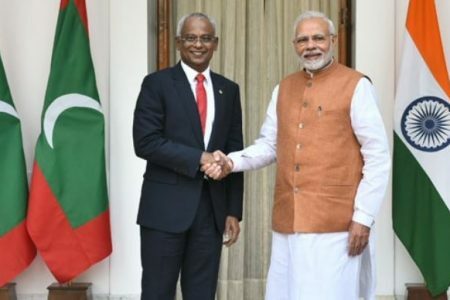 It raised grave concern in India over Colombo’s excessive tilt towards China and its facilitation of China’s presence in the Indian Ocean. Unsurprisingly, then, India welcomed Sirisena’s victory in the January presidential elections must be seen. Balancing relations between India and China was among the themes of Sirisena’s election campaign. Sirisena promised to scrap infrastructure contracts with China, including the port city project off Colombo. This raised hope in Delhi of a sea-change in Sri Lanka’s foreign policy should Sirisena come to power, a change that would be advantageous to India as China’s role in the island would be cut down. However, the dramatic change in Sri Lanka’s foreign policy vis-à-vis China hasn’t happened yet. The promised cancellation of the Colombo port city deal hasn’t been fulfilled, although the Sirisena government in a recent move did not approve a 25-year tax holiday for the project that the Rajapaksa government had proposed. Again, while Colombo did sign a civilian nuclear agreement with India, signaling it had overcome apprehensions raised by the Rajapaksa government over safety issues surrounding India’s Koodankulam nuclear power project, which is located 250 km off the Lankan coast, within days of the president’s return from his India trip, Sri Lanka’s Power Minister Patali Champika Ranawaka announced that his country was exploring nuclear energy co-operation with Pakistan to improve “technical capacities and human capacities.” Sri Lanka and Pakistan are scheduled to sign a civilian nuclear pact when Sirisena visits Pakistan end March. Importantly, Sri Lanka needs the funds that China is providing it with. Its postwar reconstruction needs, especially in infrastructure, is high. According to S I Keethaponcalan, a Sri Lankan academic teaching at Salisbury University in the United States, China is a more valuable partner for Sri Lanka than India is as India “can never match the kind of investments the Chinese have made in the island.” Moreover, Sri Lanka and China have enjoyed close ties traditionally and China is regarded as a “reliable friend,” he observed. Consequently, throwing out China is not an option for Sri Lanka. What we can expect then is that Sri Lanka’s relations with India and China “will become more balanced under Sirisena,” Keethaponcalan said. The president is likely to achieve this by being “selective” with regard to the assistance his country receives from China. 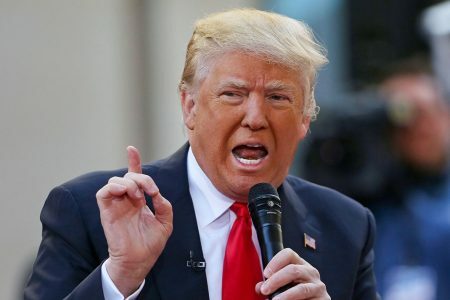 He could “avoid defense and security-related deals with China” and can be expected to “confine China primarily to the economic sector.” In contrast, relations with India will be more “multi-dimensional,” including security, political, economic and cultural engagement, he pointed out. China’s role in Sri Lanka will be determined not just by what role Colombo wants it to play but also by China’s interests in Sri Lanka. “Beijing’s interest in Sri Lanka is not just in the market it provides for Chinese goods but in the strategic advantage it offers China through an influential presence there,” the diplomat said. Indeed China’s role in the island is “not simply a matter of Sino-Sri Lankan ties alone. How much influence Beijing will seek will also depend on Beijing’s overall relations with India and its security interests in the Indian Ocean,” Jacob observes. Sri Lanka’s location in the Indian Ocean, just a few kilometers from the Indian coast and near one of the busiest sea lanes in the world – one that carries much of the oil that fuels the Chinese economy – makes it attractive to Beijing. 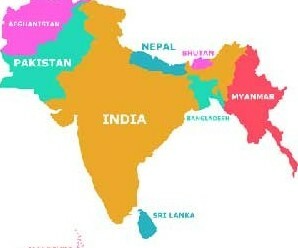 India believes that China’s interest in Sri Lanka and its growing footprint there is part of an encirclement strategy to contain India and that Beijing will use its huge influence in Sri Lanka to secure a military presence there. The Chinese strategy is “smarter” than that, argues Jacob. China, he says, “is cultivating influence not by overt military presence but by encouraging people-to-people contacts, offering scholarships, sponsoring conference trips, and boosting Chinese tourism in India’s neighboring countries. This softly, softly, approach is more effective and far more difficult for India to counter. Indeed India may convince the Sirisena government to trim its defense and security co-operation with China, but asking it to halt Beijing’s exercise of soft power in Sri Lanka will be difficult. Importantly, Delhi must understand that it cannot counter Chinese influence in Sri Lanka by badgering or bullying Colombo to cut back on co-operating with Beijing or dictating who its friends and allies should be. 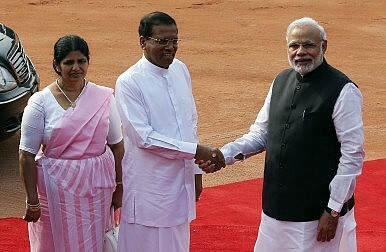 India’s Prime Minister Narendra Modi is visiting Sri Lanka in March and China in May while Sirisena is due to visit Pakistan and China soon. The coming weeks and months are likely to shed more light on the India-Sri Lanka-China equation.